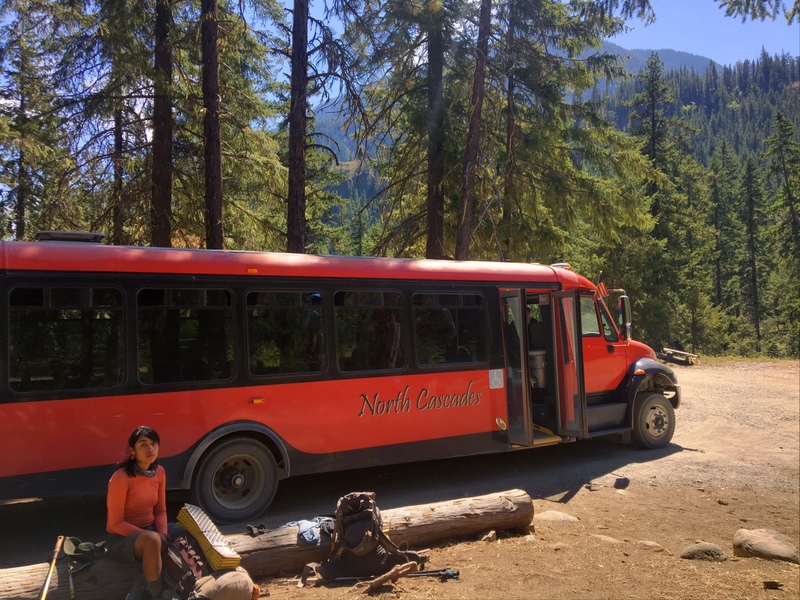 Today consisted of a quick downstream stroll to the High Bridge Ranger station where the bus to Stehekin, WA picks up hikers every couple hours. 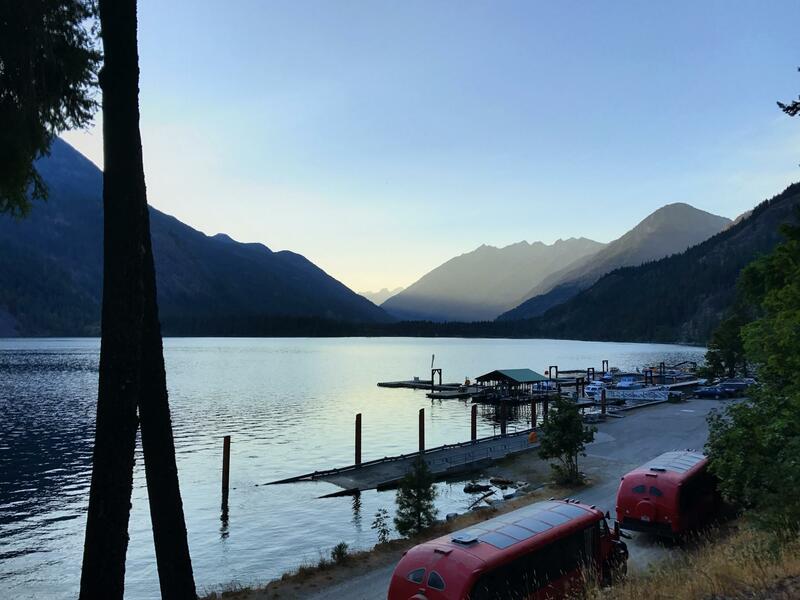 We were motivated by both the famous Stehekin Bakery (sticky buns!) and timing things so we could catch the eclipse while not buried in the (magnificent) trees. We covered the 12 miles in four hours and were in a perfect open area to view the eclipse. Unfortunately, since we would only have 90% totality it was too bright to see anything without the fancy glasses. 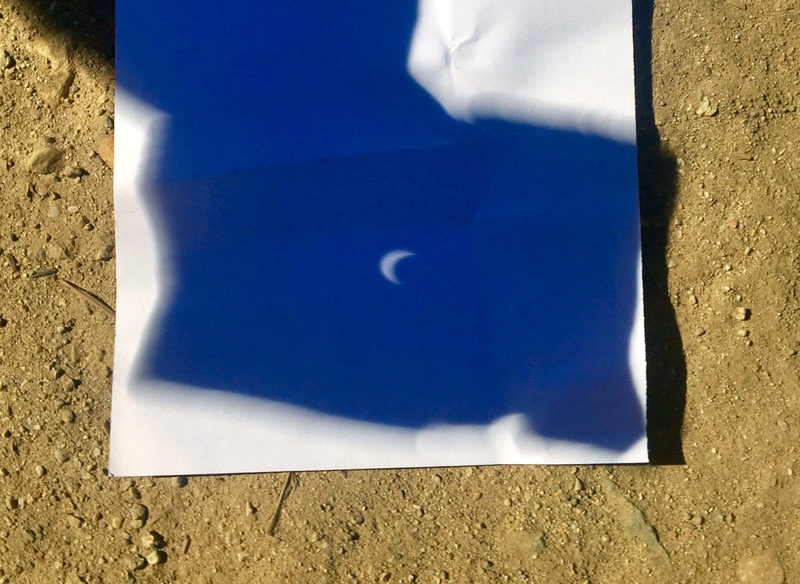 Luckily, I remembered the pinhole trick from the last eclipse (1979) and poked a hole in a piece of cardboard then projected the light onto some paper from my journal…38 years was a long time to wait for an eclipse! 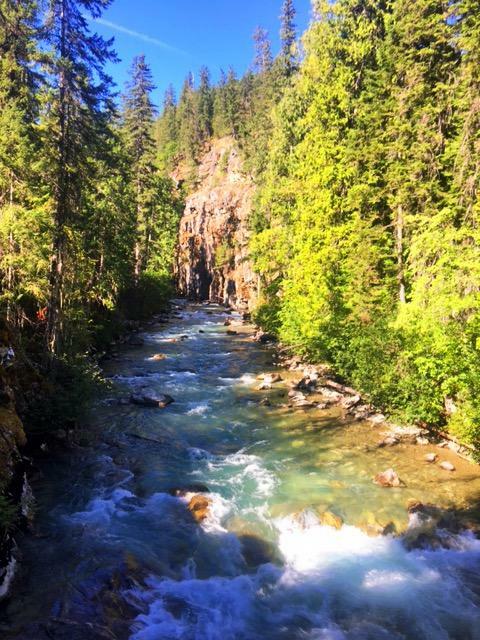 The Agnes River carving its way through a gorge. Projecting the eclipse using a cardboard pinhole. 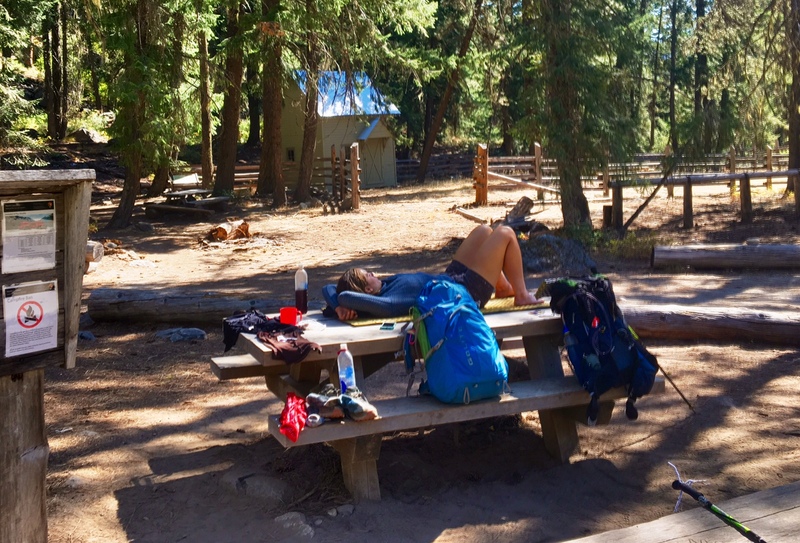 Lounging at the picnic tables (for 2hrs) while we wait for the bus. 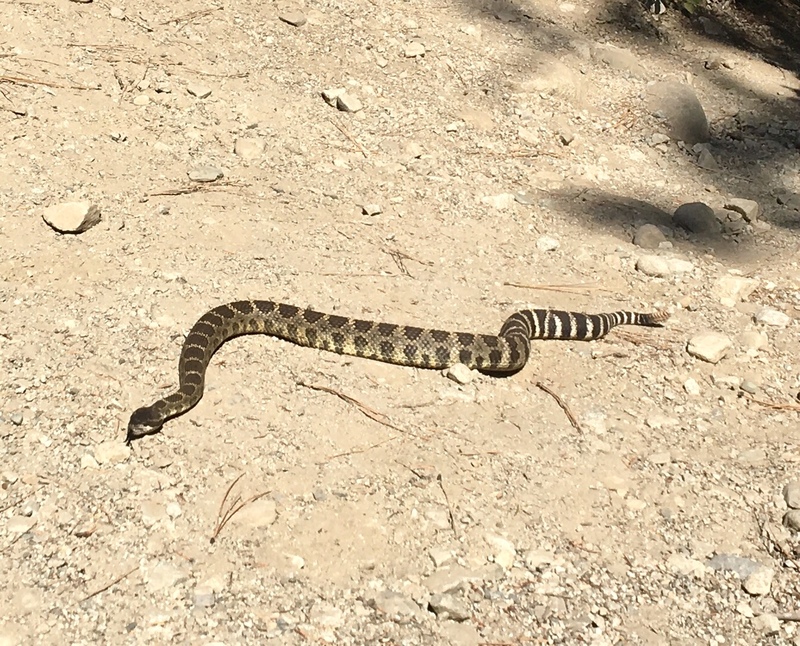 A giant rattlesnake slithered across the road giving us some entertainment. 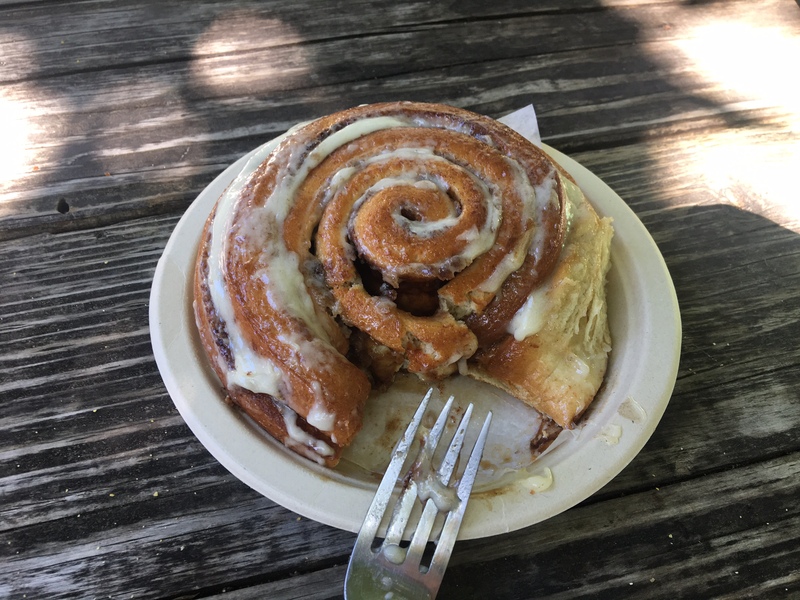 One of the best cinnamon rolls ever! 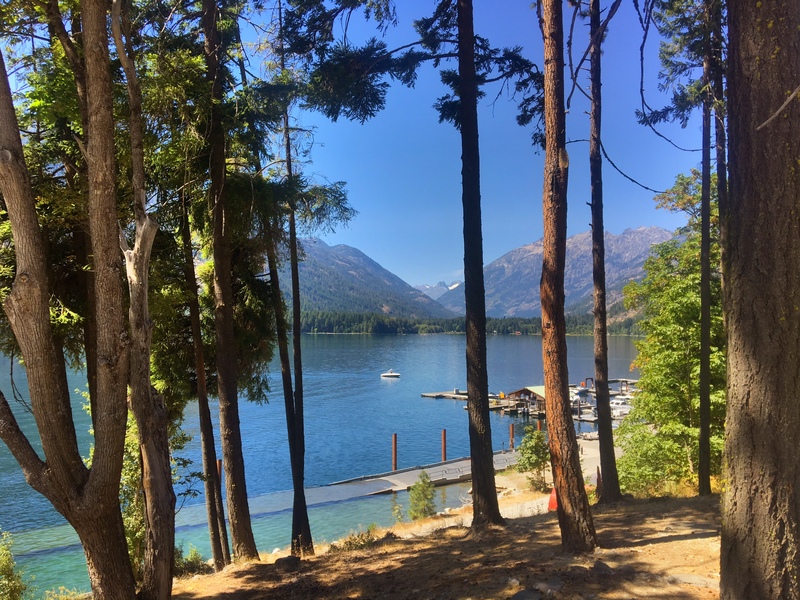 Hanging out it Stehekin on the shores of Lake Chelan. 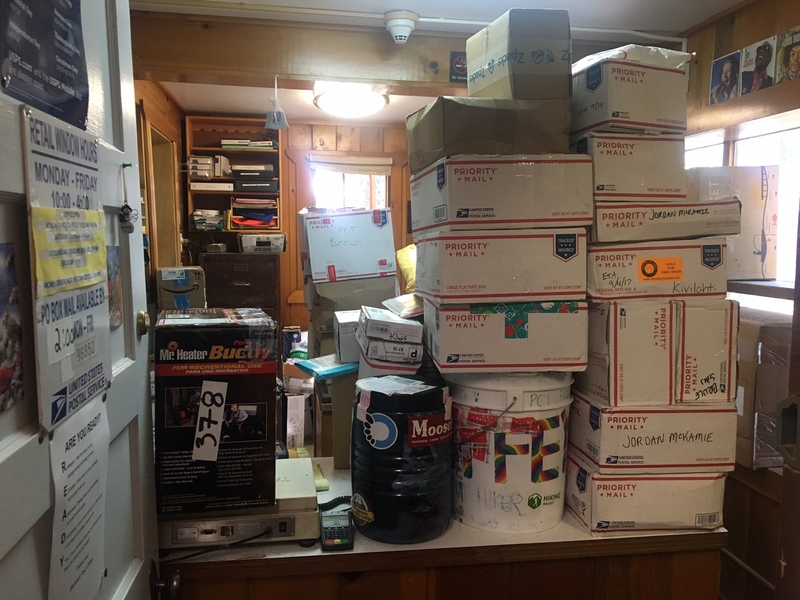 Stopped by the tiny post office which was filled to the gills with hikers’ resupply boxes.